Last weekend we had 16.5 inches of snow here in La Crosse, Wisconsin on top of 5-7 inches that we received the prior weekend. The snow was so deep last Sunday I could not get out on my Nordic skis but did try and then kicked myself for not bringing my snowshoes which would have worked perfectly. This weekend I was able to get out for 30+K of skiing on both Saturday and Sunday by taking advantage of the trails here in La Crosse then driving up the Mississippi river for about 20 miles on the Minnesota side to ski in Winona. The trails in La Crosse are in the Hixon Forest which traces it roots to the founding of Grandad Bluff as a park. The land was donated to the City of La Crosse in 1912. 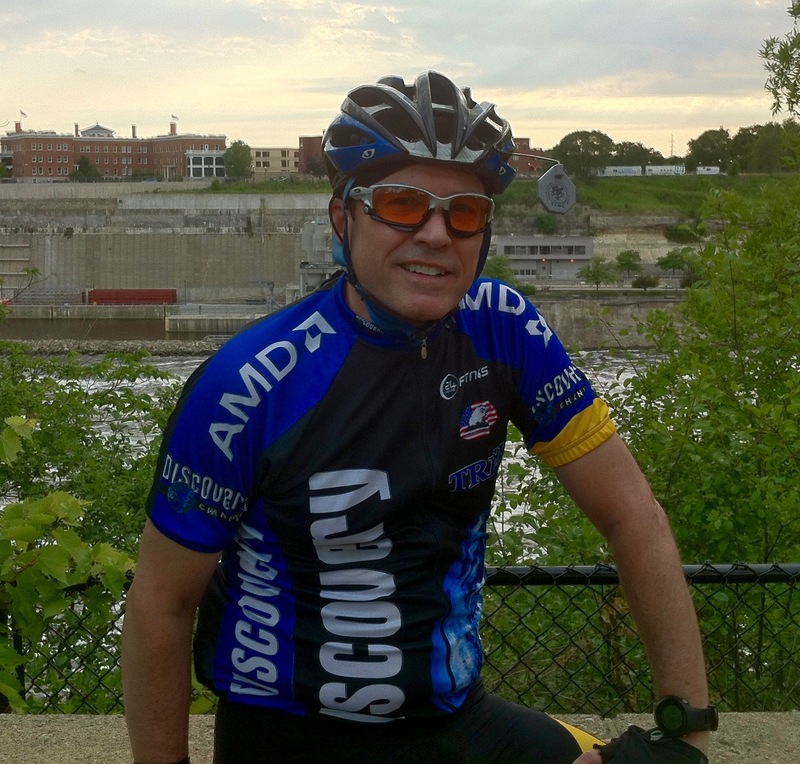 The trails were a project of the Greater Area Chamber of Commerce and the La Crosse Park and Recreation Department. A volunteer group, called the Hixon Groomers, provide grooming for both skating and classic skiing on some of the trails and the adjoining Forest Hills Golf Course. On Saturday I also saw several folks on snowshoes on some of the steeper narrow trails. Great local place to ski! My Garmin showed 15.58 K.
The trails in Winona are located at Saint Mary's University which I am told has a consistently good Nordic Ski Team. With these nicely tucked away trails running through the bluffs I can see why! Conditions were fabulous with mostly nice wide trails groomed for both skating and classic. 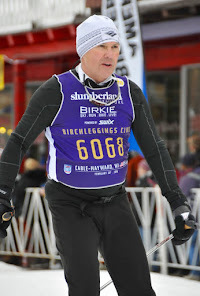 They were also quite challenging at times which makes for good American Birkebeiner training since that course is mainly all hills. My Garmin showed 15.09K. If you have never driven along the Mississippi River between Wisconsin and Minnesota you have to add it to your list. Very pretty vistas with the river and then these very large bluffs that remind you of mountains! I had never experienced the beauty of this area and had been coming to Wisconsin for 25 years prior to moving here to ski the Birkie. This picture was taken heading towards Winona on US Routes 14 and 61, which run together during this stretch.